We are using the “spare” Thursdays at Church Lane for some internal training. IE on some Thursdays when we have no matches arranged. 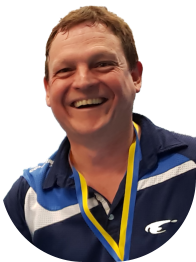 As you may know Paul Unger is a trained coach and has kindly offered to provide training on some of the spare days and to a selected target group. The intention is to gradually improve skills of those Members with a strong intention of improving Match results with other Clubs. More detail on Team Training page. The first of these 2 hour sessions took place on 18th October and all the “victims” were very appreciative, but knackered. At Management Committee held on Thursday 15th November Catherine (Cate) Thomas was elected to the vacant post of Vice Chairman. The vacancy arose upon the resignation for personal reasons of David Stevenson at the end of last season. I’m sure you will support Cate in her new role.